888Poker has launched an exciting new Winter Bonanza promotion in which players can win daily bonuses, casino free plays, sports bets and freeroll tickets. This time of year is often called the “season for giving”, and 888Poker is giving it out in spades over the next couple of months. Starting this week, the site is hosting a Winter Bonanza promotion in which all players have to do in order to win a prize is log into their accounts and spin a “Snowball Spinner”. Players get two spins of the Spinner every day – provided the second one is via 888Poker´s mobile app. 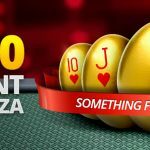 The choice of prizes includes a free no deposit poker bonus, free plays at the 888 casino, free sports bets, and an entry into a “Warm Up” freeroll tournament with a $3,000 prize pool. The “Warm Up” freeroll tournaments take place twice a day at midday and 6:00pm (all times GMT); and, if you win a ticket for one of these events, you can pick which one to play in and register manually. Win fifty cash game hands with a week. The hands can be won in any cash game of NL Texas Hold´em – including SNAP – with a minimum stake level of $0.02/$0.05, provided that four players or more are dealt into the hand. Play tournaments with buy-ins totaling $20 or more. The tournaments can be regular Multi-Table Tournaments, Sit & Go games or BLAST games provided that over the course of a week (Sunday to Saturday) the total buy-ins amount to $20 or more. You can keep track of your progress toward an “Ice Cold” freeroll ticket in the Challenges tab (PC) or My 888Poker Club (mobile). Tickets are awarded automatically, but you have to use them for the next “Ice Cold” freeroll tournament or you will lose them. Unfortunately, there is no option to carry tickets forward or exchange them for tournament dollars if you are unable to play in the target event. 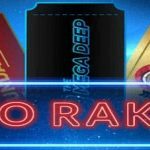 This is a nice little promotion which is unlikely to make you rich (unless you win a back-to-back-to-back Ice Cold freeroll tournaments) but it could add more than a few dollars to your bankroll over the coming months. It also comes at a time when there is plenty going on at 888Poker. 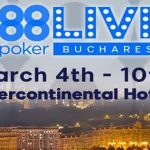 Yesterday we wrote about how 888Poker had launched a new game called Pick´em 8 and, at the other end of the spectrum, the site has announced the date of its first live event for 2019 (trailer below). If you are not yet playing at 888Poker, you might want to check out our 888Poker review, which not only explains more about the experience you can expect when you play at the site, but also how you can take advantage of a free no deposit bonus plus an exclusive 100% match bonus on your first deposit up to $600. 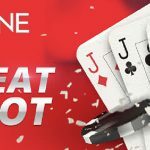 The normal maximum bonus offered by the site is just $400, so this is an opportunity not to be missed – especially while 888Poker is running its Winter Bonanza promotion.